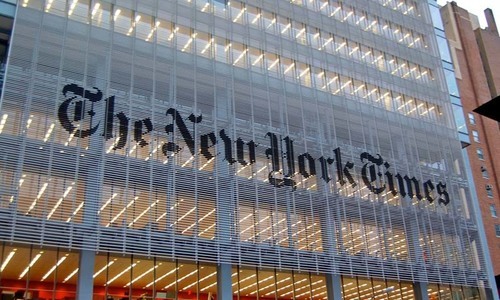 An opinion piece in The New York Times by an anonymous senior administration official claiming to be part of a “resistance” working “from within” to thwart President Donald Trump’s “worst inclinations” has set off a wild guessing game inside and outside the White House on the author’s identity. In an extraordinary move, a furious Trump tweeted a demand on Wednesday night that if “the GUTLESS anonymous person does indeed exist, the Times must, for National Security purposes, turn him/her over to government at once!” White House press secretary Sarah Huckabee Sanders called on the “coward” who wrote the piece to “do the right thing and resign”. 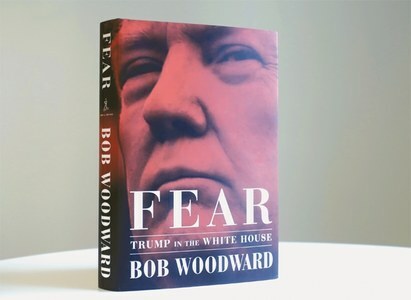 To some, the ultimatum appeared to play into the very concerns about the president’s impulses raised by the essay’s author. Trump has demanded that aides identify the leaker, according to two people familiar with the matter, though it was not yet clear how they might go about doing so. The two were not authorised to speak publicly and spoke on condition of anonymity. The text of the op-ed was pulled apart for clues: the writer is identified as an “administration official”; does that mean a person who works outside the White House? The references to Russia and the late Senator John McCain — do they suggest someone working in national security? Does the writing style sound like someone who worked at a think tank? In a tweet, the Times used the pronoun “he” to refer to the writer; does that rule out all women? Hotly debated on Twitter was the author’s use of the word “lodestar”, which pops up frequently in speeches by Vice President Mike Pence. Could the anonymous figure be someone in Pence’s orbit? Others argued that the word “lodestar” could have been included to throw people off. Trump, appearing at an unrelated event on Wednesday at the White House, lashed out at the Times for publishing the op-ed. In a blistering statement, the press secretary accused the author of choosing to “deceive” the president by remaining in the administration and putting himself or herself “ahead of the will of the American people. The coward should do the right thing and resign”. Sanders also called on the Times to “issue an apology” for publishing the piece, calling it a “pathetic, reckless, and selfish op-ed”. The anonymous author wrote in the Times that where Trump has had successes, they have come “despite — not because of — the president’s leadership style, which is impetuous, adversarial, petty and ineffective”. The writer also alleged “there were early whispers within the cabinet of invoking the 25th Amendment” because of the “instability” witnessed in the president. The 25th Amendment allows the vice president to take over if the commander in chief is “unable to discharge the powers and duties of his office”. It requires that the vice president and a majority of the Cabinet back relieving the president. Angry Trump in action by expressing his frustration.
" The Times must, for National Security purposes, turn him/her over to government at once! " - Donald J. Hitler _ Trump does not have the first clue about the American way of life. "The president’s leadership style, is impetuous, adversarial, petty and ineffective”. _ Perfect! They are bugging him and bugging him and bugging him to the point of cracking him up. It is torture and slow death, one can imagine this guy finally collapsing, it reminds of bullfighting, and enraged and finally collapsed bull. See the Freedom of expression in US. The Government can’t touch the Times that published the op-ed. I can tell you who wrote the op-ed. Kevin Hassett, Council of Economic Advisers. No question about his writing style and views on international trade. He is a former professor. As you sow, so shall you reap. It has been tested time and time again and will continue. The recent flip-flop is shutting down the govt if no money for the wall. The promise was, Mexico will pay but now the Americans must pay or else.